I love getting fitness questions from my clients and friends. I recently got a great question from Leslie about protein powders. 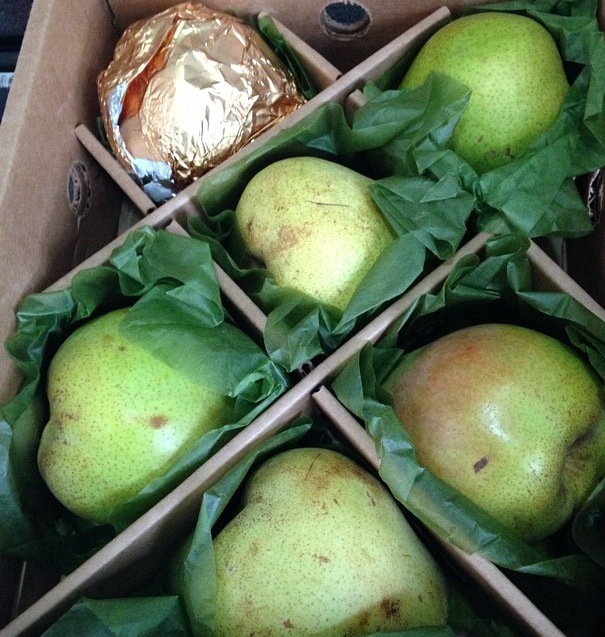 Specifically, she wanted to know what types are best for recovery, satiety, and purity of ingredients. If you have any dietary concerns, the first issue to address is the source of the protein powder. 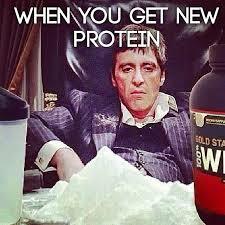 Whey, cassein, egg, and beef protein are animal source protein powders. Vegetarians would want to consider a protein powder made from soy, peas, hemp, and rice. Soy has gotten a bit of a bad rap in the past few years due to claims of effecting testosterone levels in men, and rumored breast cancer concerns for women. There has also been some controversy regarding arsenic in rice products. However, the FDA has released a report claiming the levels of arsenic in rice powders are too low to cause “immediate health damage”. As for soy, I’ve never seen anything definitive about any side-effects. This short article from cancer.org sums up there findings on the soy-cancer connection. My personal preference has always been for whey protein, which tastes the best, and since it absorbs into the digestive system quickly, is a popular choice for people post-workout. Casein is the other milk-derived protein and absorbs more slowly into the digestive system, so it may be preferable for people who are using it for weight-loss or control. Personally, casein shakes are too rich for me, so if I do use casein, I like it blended with whey. PS, I have nothing against veggie protein powder except for the taste, which is awful. If you’re looking for a pure, whole-food protein source for your skakes, you should definitely try Kefir. 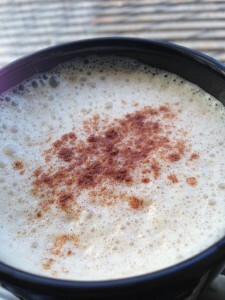 I loathe the phrase “super-food” but if I had to use it, it would be to describe kefir. Kefir is a fermented milk drink from India, famous for it’s tart taste and impressive levels of gut-loving probiotic bacteria. A cup contains 10 grams of protein, so I also add about a 1/4 scoop of protein powder just to bump that amount up a bit. I recommend getting plain and then adding frozen fruit and a little maple syrup for sweetness, rather than the pre-sweetened varieties. If kefir is too tart, you can sub it out with greek yogurt and some milk instead. Once I blend it with frozen fruit, my kefir/yogurt shake reminds me a lot of the taste of the frozen yogurt from Red Mango or Pinkberry. Kefir also has a lot of naturally occurring vitamins and minerals (vitamin A, D, iron, magnesium, and more) so I feel pretty darn good about myself after I drink a shake–and I don’t just throw around words like “darn” without meaning it. The kefir and cherries in this shake are great combo for muscle recovery. I love this shake after deadlift day! So, now you know, Leslie. Kefir + a little whey+frozen fruit=a perfect breakfast, snack, or post-workout recovery meal. 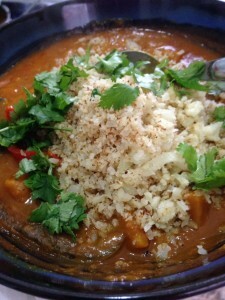 If you give this recipe a try, please let me know what you think! 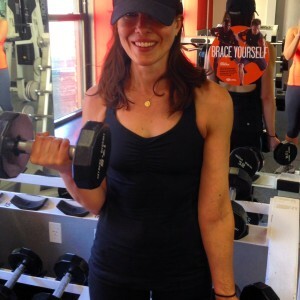 Diary of a Trainer: What’s Trending this October! Trends are fun. I usually don’t take them seriously, but I find that educating myself on the latest health trends are a good to shake things up a little. New diets, sports drinks, workouts, and healthy snacks… if it’s fitness related and “trending,” I’m going to at least read about it, and most likely give it a try. 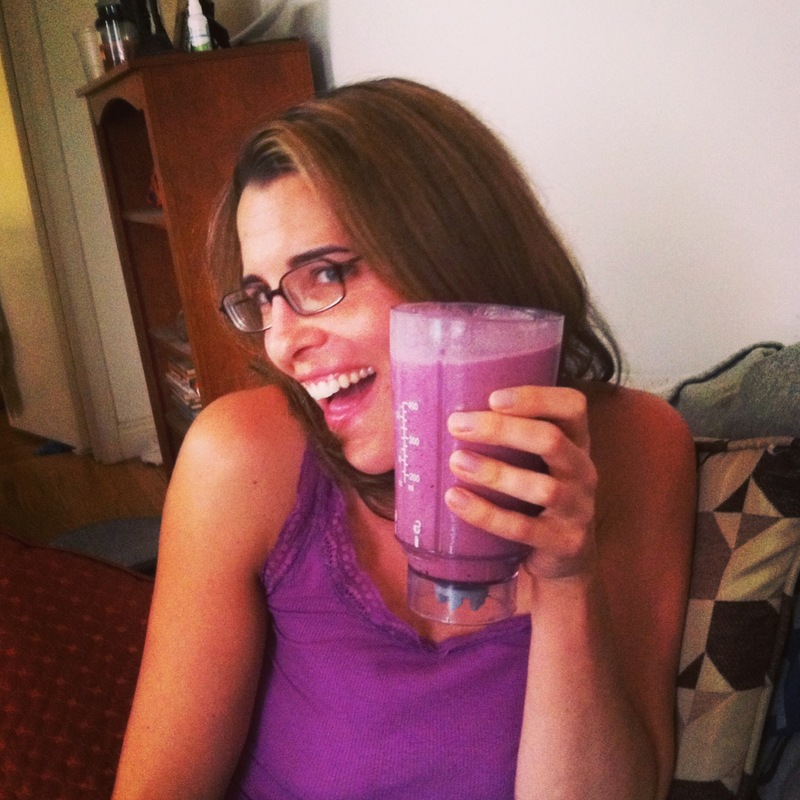 Remember when I tried three major lifestyle diets? I’m glad that that’s over, but happy to have at least experimented a bit. There are a few different ways to fast. There’s 20-24 hour twice weekly fasts and also a once a week 36 hour fast – no thank you! I prefer the mini-fasts that I do about five days a week. Last thing to note: I start every day by drinking two glasses of water and a coffee with half a TB of coconut oil every morning. This does not seem to disrupt the fast, as I still get results, plus it makes the process that much easier. Then I drink water or tea until breakfast. There are some fasting articles online, but if you want your specific questions about the topic answered, just ask me here or on FB.com/blitzyourbody. I’m happy to offer my personal experience. 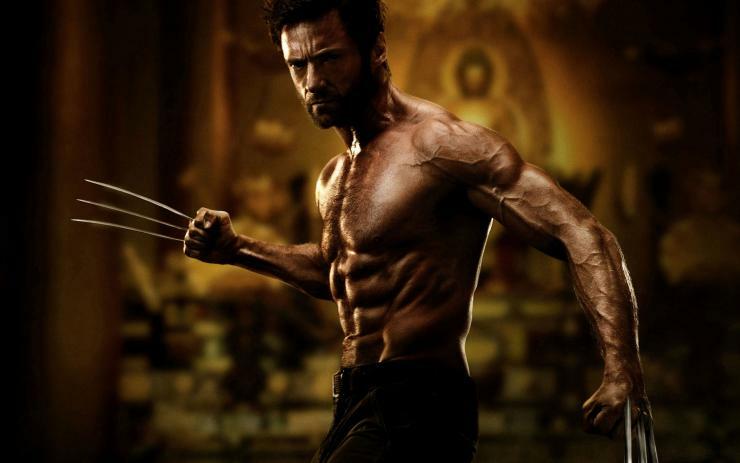 FYI, Hugh Jackman famously got in Wolverine shape with intermittent fasting. I wouldn’t know this existed if it wasn’t for Instagram, and now I can’t get enough of this stuff. Well played, Internet, well played. 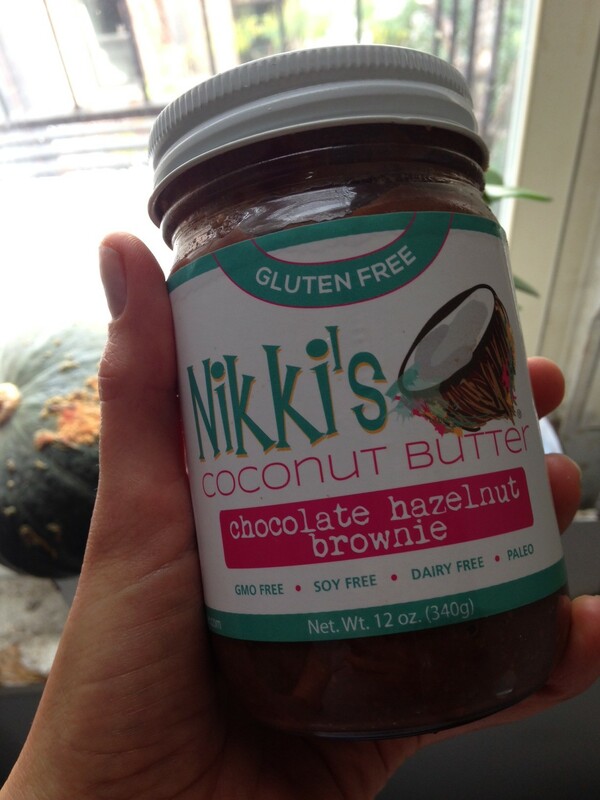 If eating almond butter out of the jar is your thing, then drop everything and get yourself a jar of Nikki’s Chocolate Hazelnut Brownie Coconut Butter STAT. There are other brands out there or you can make your own like this lady from my Whole Food Life. I will probably never make my own, but I will keep this stuff on hand despite it’s $13 a jar price tag. It’s just ground up coconut meat, ground nuts, cocao, and honey or dates to add a little sweetness. Just be careful with this stuff. 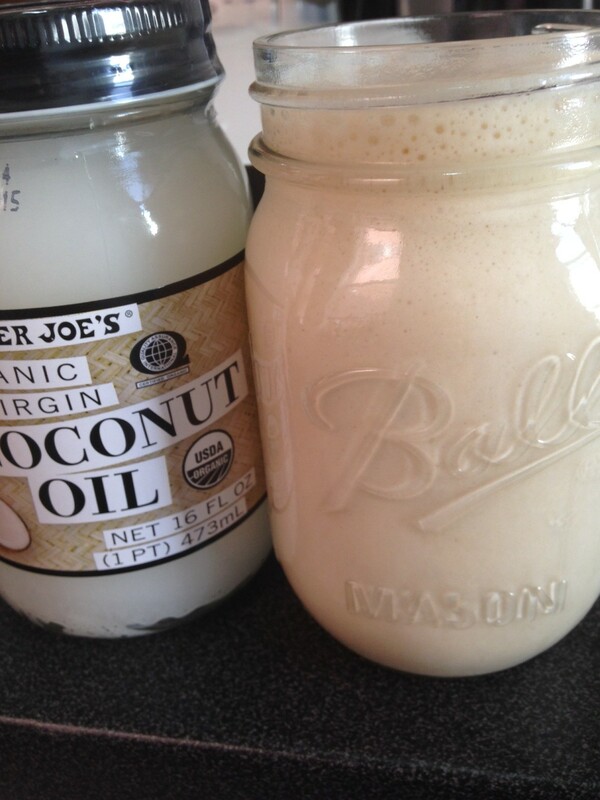 Two tablespoons are about 220 calories and 20 grams of fat! Yes, that is a lot of fat, but the fact that is’s a plant-based saturated fat, as opposed to an animal sat. fat, means it won’t clog your arteries. Note the photo bomb by my Kabucha squash. 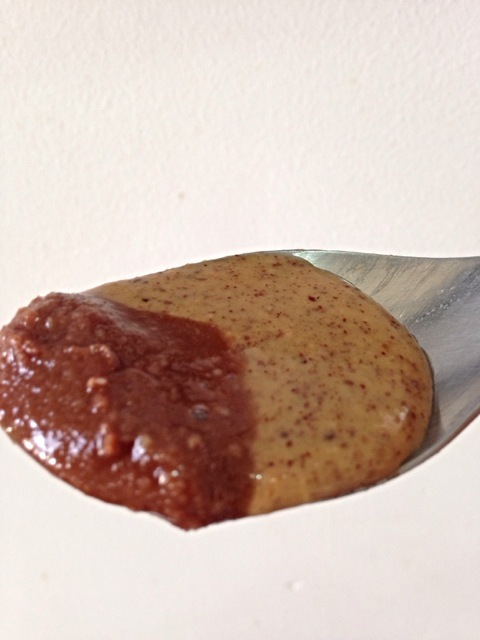 Scoop a little of your chosen nut butter on a spoon. Place a little chocolate coconut butter on the same spoon. Put in your mouth. Die of happiness. It’s mid-way through September, and the 28 Day Blitz rages on! Hmmm, maybe rages is the wrong word in my case. Let’s say that the 28 Day Blitz nagged at me as I tried to navigate a social life with long-lost friends this past Sunday. I was all set to tuck into my cheat meal–the best veggie burger in NYC, located at La Flaca down on the lower East Side. (Go there ASAP) I had good intentions and ordered a salad with said veggie burger. 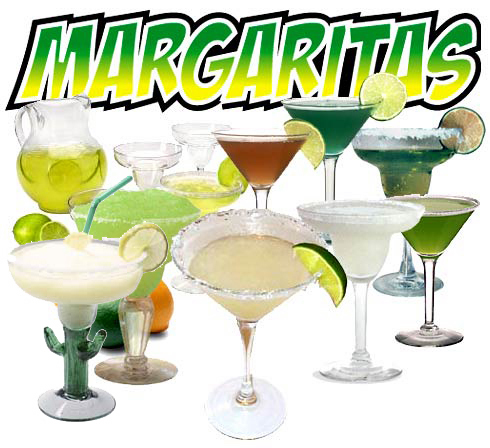 Unfortunately, the *200 margaritas I drank after dinner definitely negated my best intentions. *estimate of margaritas, 5 is probably more accurate. 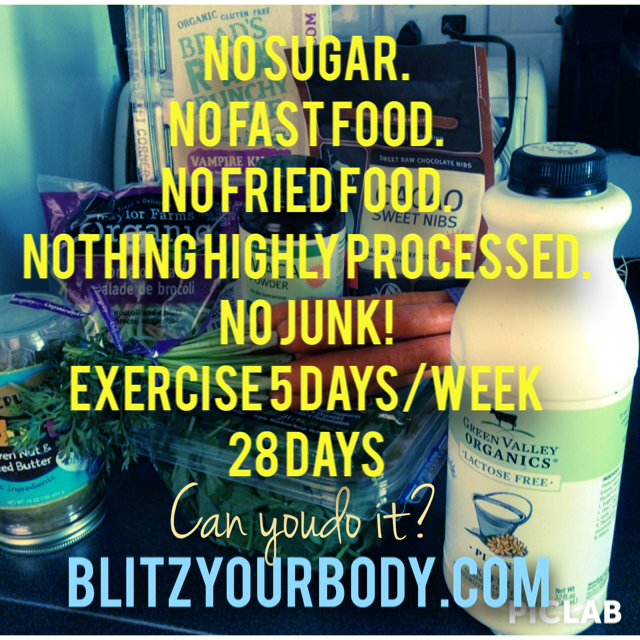 Just a reminder: the 28 Day Blitz is a challenge to eat only the best, cleanest food during the month of September. No fried foods, nothing overly processed, no ice cream, candy, or chips…and for goodness sake, moderate your alcohol intake please. So yeah, things happen, even to health-conscious personal trainers who create 28 Day challenges. I don’t let these things set me back, I just shake it off and start over the next day. 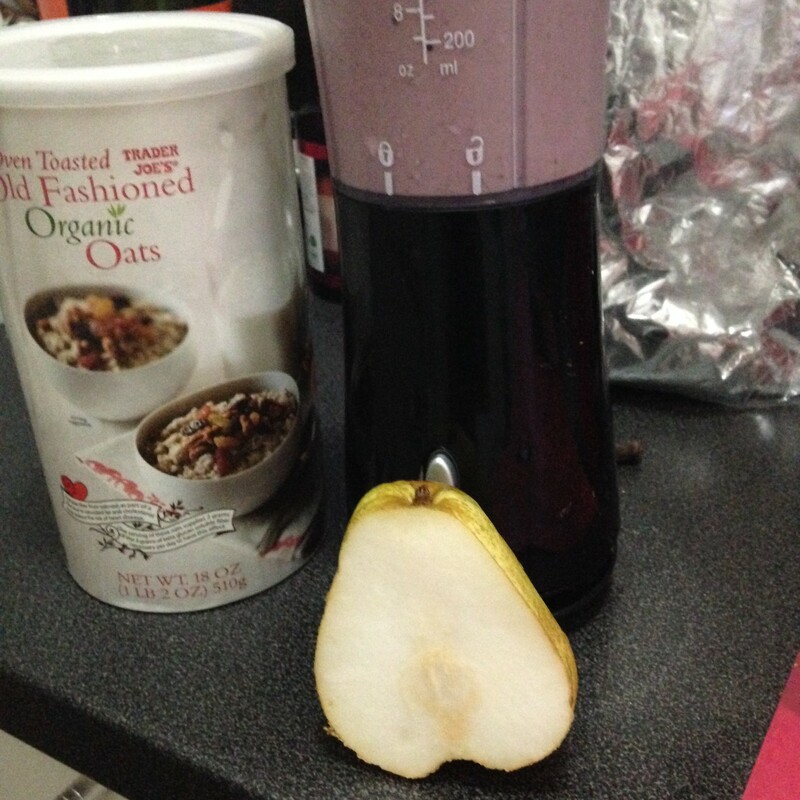 Thanks to the wisdom of rock star client Kerry, I started adding psyllium seed husk powder to my breakfast smoothie. Sounds delicious, right? Well, this stuff almost tasteless and is high in soluble fiber which swells in your stomach, making you feel fuller, longer. 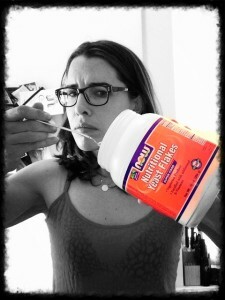 The gel that is formed once the powder is mixed with liquid helps move metabolic waste through your intestines. Uh-huh,that’s right, it fills you up, then makes you poop. These are good things. Adding psyllium seed husk powder can also help slow down the breakdown of sugar and fats, which keeps your glucose levels in check. Don’t use the powder if you are already taking medication for constipation.You certainly don’t want to go overboard and have an unfortunate mishap on your commute to work. 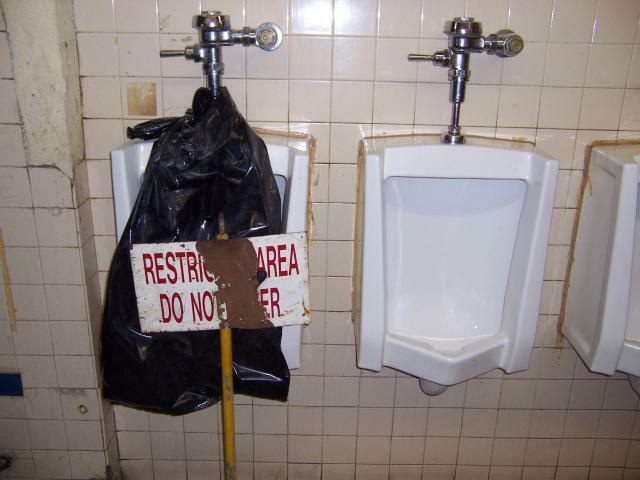 A public transportation bathroom, or Hell on Earth. You be the judge. I add only 1/2 to 1 tsp in my smoothies, which is enough to thicken and add volume to my breakfast. It really does keep me feeling full, therefore I eat less. Win, win! Does anyone else use an almost empty nut butter jar as a vessel for their smoothie? I actually can’t wait to get down to the end of a jar so I can enjoy the nutty goodness with whatever concoction I’ve come up with. Yay! 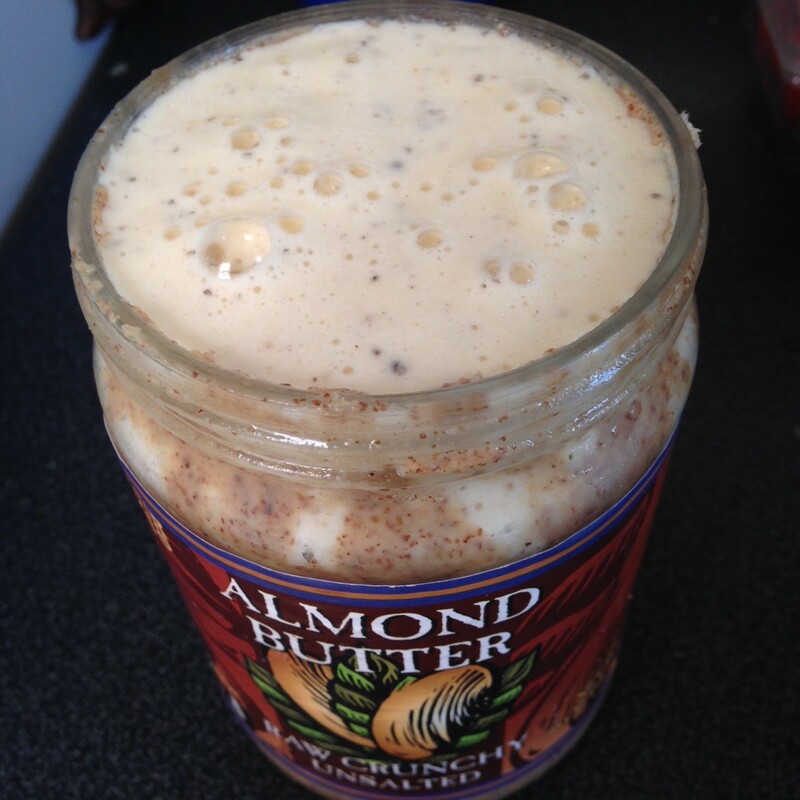 An empty almond butter jar! Obviously, I need to get out more. Remember, if you have committed to a having a healthy fall, one slip-up is not justification to let the entire month go.Your next meal is your opportunity to set yourself right and get back on track. 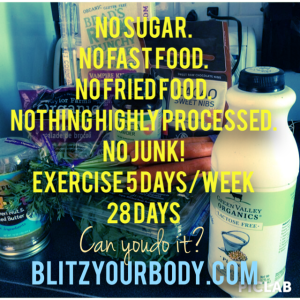 Don’t forget the 28 Day Blitz is ON!!! No junk for the rest of the month! Yes, I am aware that football, aka, buffalo wing season has begun. My advice is to have a taste and then move along to something healthier. Here’s the link I posted a few months ago to a delicious paleo-friendly buffalo chicken that is grain-free and baked. This is the pic I posted a while back when they were made for me. Turkey bacon wrapped asparagus is optional. Before we get to the best foods to fuel and nourish your workout, let’s make sure that what you are experiencing isn’t really thirst. Many times, we are dehydrated and not truly hungry, so you must drink a lot of water, especially on your active days. How much does that mean? Well, there isn’t too much evidence that proves the “8-8 oz of water” per day rule is actually true. But, the Mayo Clinic suggests that women take in 2.2 liters (9 cups) and that men take in 3 liters (13 cups) a day, adding an extra 1.5 to 2.5 cups when you exercise, which is pretty close the the conventional wisdom of 8/8 glasses of water. Yes, I wear pearl earrings when I workout. 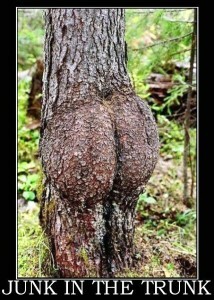 You don’t??? Now for fuel. We need to pick foods that will satisfy your hunger and be in line with your fitness goals. Pre-workout, you want to make sure you eat healthy carbohydrates that will give you energy without weighing you down. The closer you are to your exercise session, the simpler the food should be. That’s right. Sometimes I don’t eat before I go to the gym. My body is used to a fasted workout and sometimes I just grab a coffee and go. Carbs + Protein = a satisfying post-work out meal or snack that will keep you feeling full. Stay away from heavy fats, since they inhibit your body’s ability to quickly process all the good stuff. 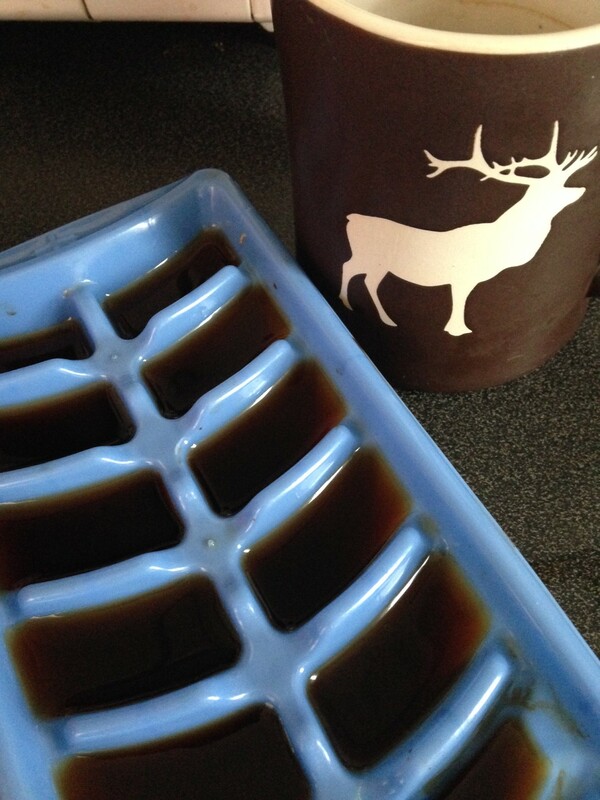 I recently discovered that freezing coffee in ice cube trays is an easy and tasty way to add a little zip to my protein shakes. My moose mug is my best friend. Moderate amounts of caffeine can naturally enhance your exercise performance. 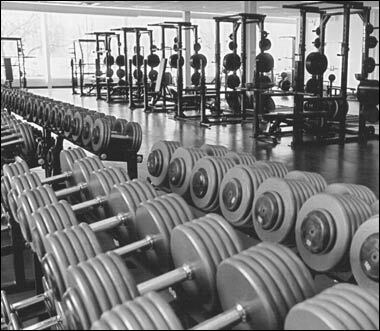 The better your performance, the more your calories you burn, and you can have greater strength gains. Just brew a strong cup of coffee, then freeze. 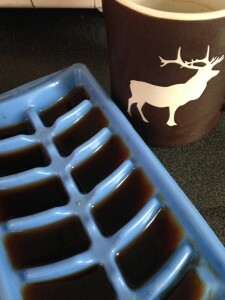 Side note: coffee cubes are also great for homemade iced coffee! A drizzle of maple syrup (or any natural sweetener) to taste. Sometimes I throw a TB or 2 of raw oat bran to increase the amount of fiber. Try it as a pre-workout fuel source, or a perky mid-day snack. Let me know what you think! There’s a myth out there that people naturally slim down during the hot summer months…something about the higher temperatures making it too uncomfortable to overeat. Yeah right! Personally, the warm weather makes me want to eat more fro-yo, and go to more happy hours. When you factor in vacations and long weekends, the little indulgences can really start to add up. I can’t be alone in this. In fact, I know that I am not. In the past few weeks, I’ve been asked by a number of people to create a month-long challenge that will inspire a healthier lifestyle, and help shake off that extra summer weight. No sugar is pretty self explanatory. It also means no white bread or pasta–these foods convert too quickly in your body, and spike your insulin levels, just like sugar does. 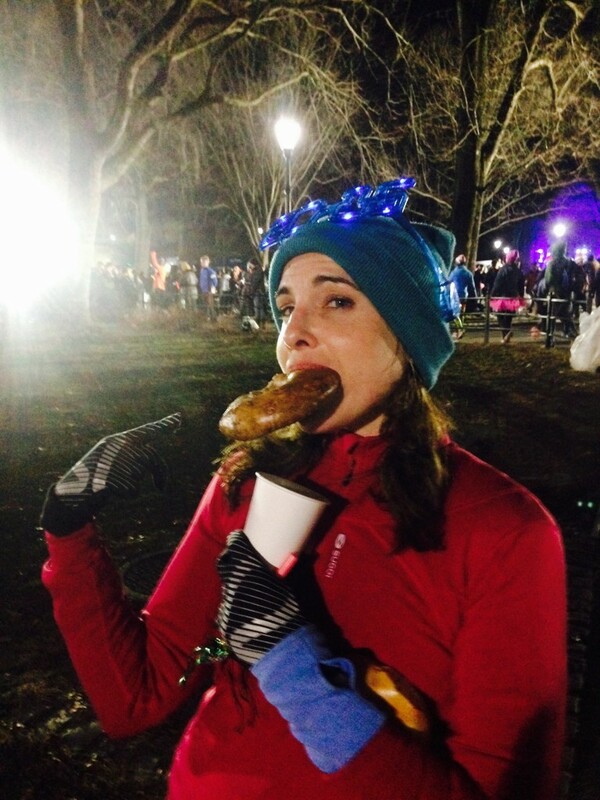 No fast or fried foods– a no-brainer. Nothing highly processed– no soda, no scary Kraft products, nothing “light” or “fat free”…if it comes out of a package and has a ton of unfamiliar ingredients, stay away. So what can you eat? This is NOT a deprivation diet. I want you to eat REAL food and measure your portion sizes. Your exercise goal, if you accept, is to move your body five days a week. These five days can include a long walk, your favorite yoga class or intense HIIT training, you just have to get going. And since I don’t want you to feel totally deprived, give yourself one “cheat” meal and one “cheat” snack each week. Also, you’ll notice that I haven’t banned booze. But let’s try to limit alcohol to 1-2 glasses of wine a week. Every week I’ll feature a workout, healthy meal ideas, and encouragement to help you through the next 28 days. If you want to really get serious, measure/weigh yourself, or take a “before pic” before you officially start. By October, I hope you are looking and feeling better than ever! Yes, I HATED IT! Sorry vegan friends, it’s possible that if I tried it first I would have loved it, but sadly, that fortune wasn’t written on the back of a soybean. Part of my dislike for the plants-only diet was that I did it last, and after two months, I was totally over having restrictions on my diet. 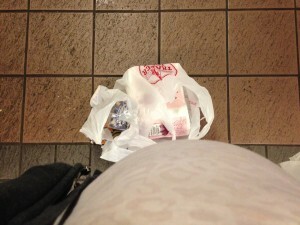 Or maybe it was my terrible and terrifying belly-bloat from all the fibrous foods. 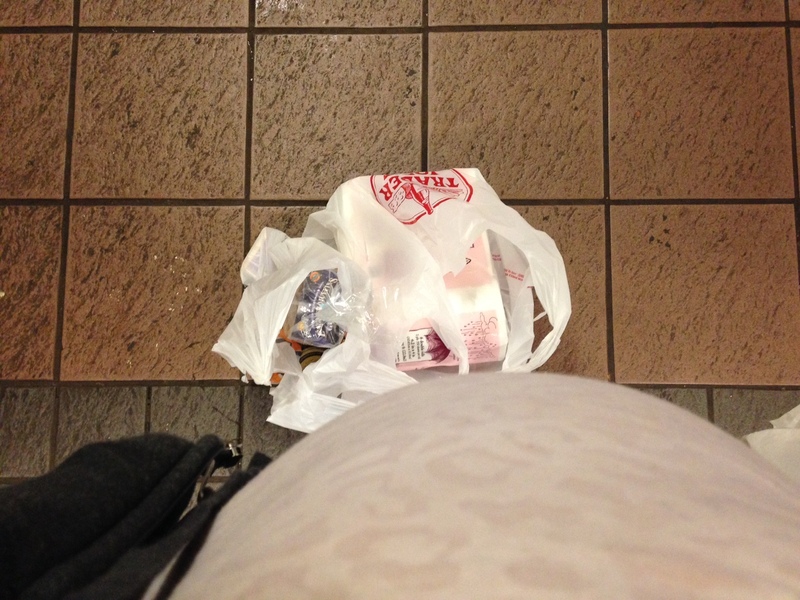 Me, looking down at my belly. NO. I’M NOT PREGNANT. 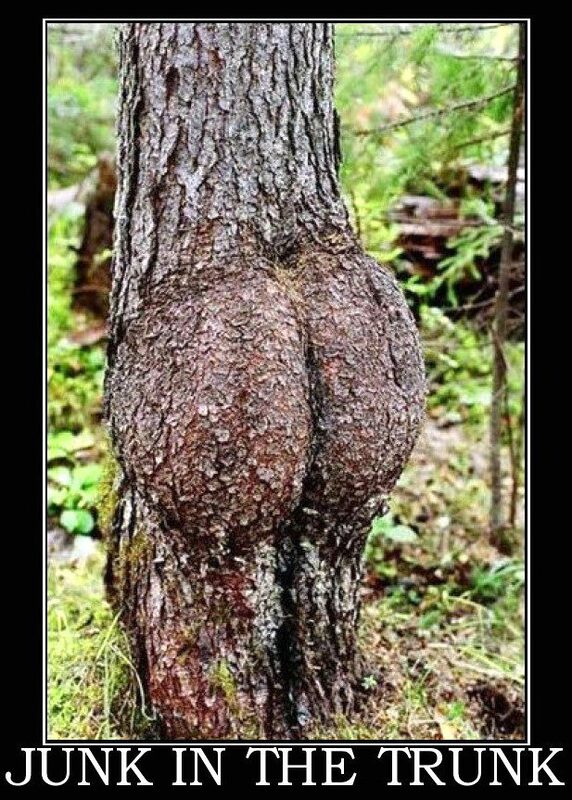 Difficulty: Hard to stick with. Boring. I really missed fish and cheese (not together, that would be gross). Expense: As inexpensive as vegetarian since plant products are cheaper than animal ones. However, I spent more on vegan restaurants than I normally would. I spent about $250 on groceries that month, but probably $150 on ordering out. 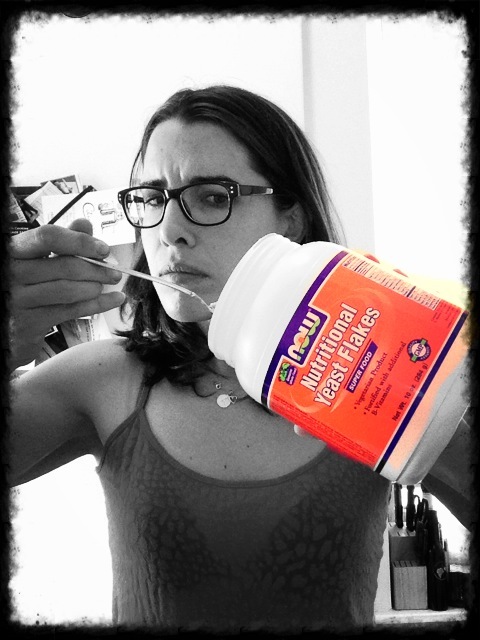 What I Ate: I pretty much ate my weight in nuts, nut butters, and avocados. I even put almond butter on my sweet potatoes (it’s actually really good, I think you should try it). Dinners were mostly huge bowls of sauteed veggies with either beans on tops or a baked sweet potato. 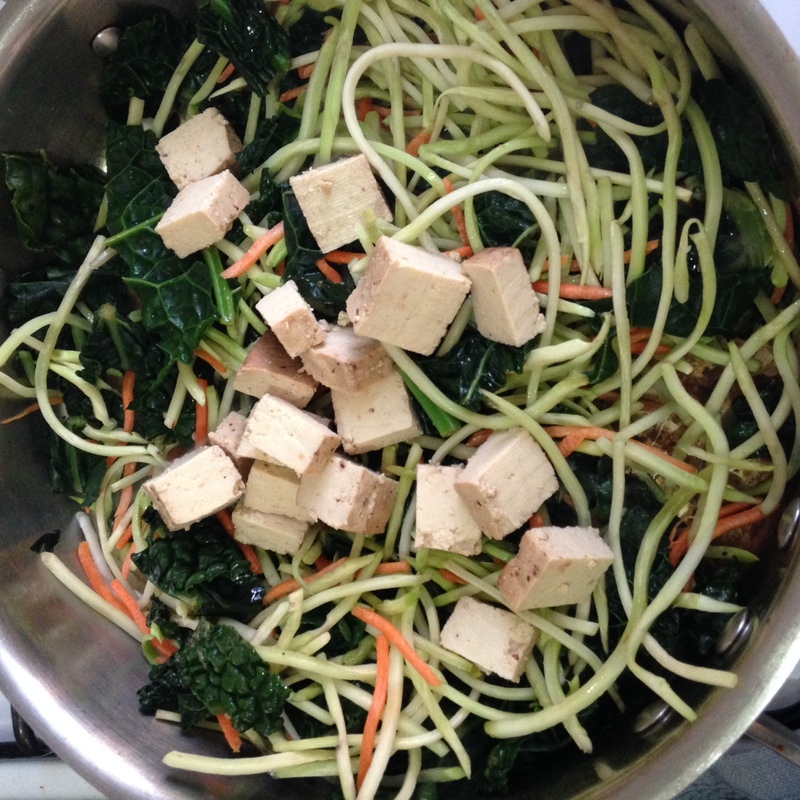 I ate more tofu than ever and discovered a love of Soba noodles. I ate a lot of avocado toast for breakfast or even a snack (probably too much). Energy Level: Normal, I did not notice a change from the previous month. Body Changes: This is interesting. One would expect a new vegan to have some weight loss but I actually gained weight. Nothing dramatic, I am actually the same measurements as I was before I started the project. Why the weight gain? I believe this has a lot to do with all the fat I was eating. Yes, they were healthy fats. But too much of a good thing…well you know how it goes. Also, those vegan restaurant meals aren’t always healthy, just because they’re made of plants. There is such a thing as vegan junk food, and I definitely partook. I am blending all three diets into one super healthy, super “clean” diet by going vegetarian during the day and eat paleo-style at night. This way I get the best of everything the market has to offer, without over-doing it on a certain food group. I will have less reliance on cereal grains. This does not mean none, my paleo peeps. Just less. I’ll get my carbs by eating starchy vegetables and beans. You must eat these if you are active. Otherwise you will burn out during your workouts. I’ll try to eat only grass-fed beef, organic chicken, and fresh-caught fish as much as possible. 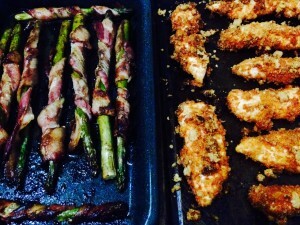 This is something I never thought too much about before I tried Paleo, but now I’m hooked. Before I close the page (FOREVER) on veganism, let me share a recipe I came up with to minimize my time chopping veggies in the kitchen. I use the term “recipe” loosely, as there’s not too much to this meal. I made it specifically for the cooking-challenged folks out there, which includes myself. 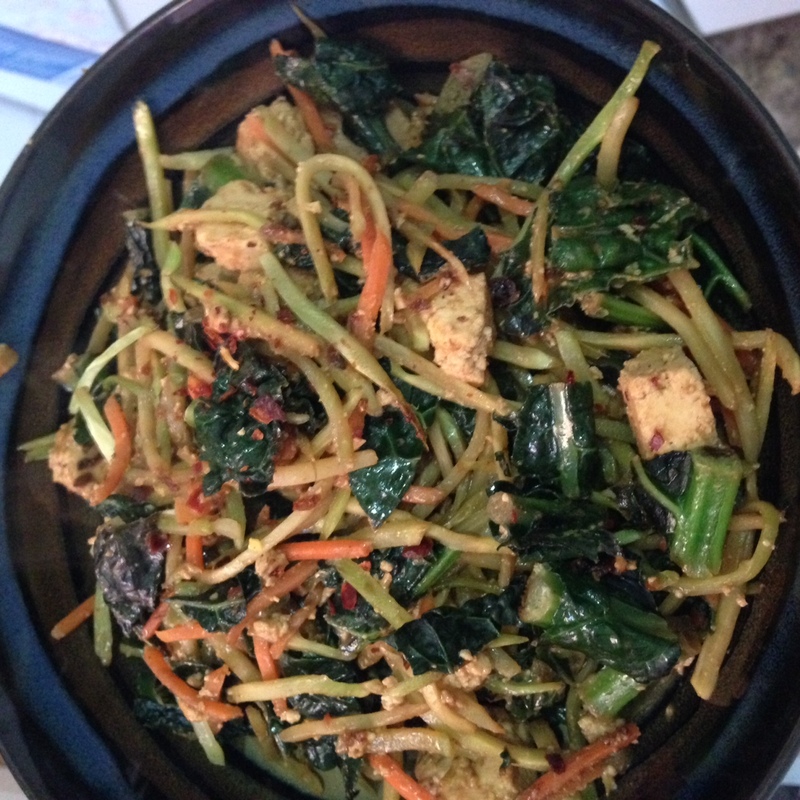 It is a no-chop, no-prep, meal that is also totally vegan. Start by steaming the kale for about 5 minutes in a pan with a little water and a pinch of salt. Add the coconut oil, broccoli slaw and tofu. Stir fry for about 3- 5 minutes. You don’t want the broccoli to over-cook and get soggy, so keep an eye on it. Add the sauce and cook for a minute or two. Your no-chop, no-prep meal is done! Boom! Drop the mic. Walk away. Thanks to my friends at DSnap Photography! They did an amazing job! So, I’m a vegan now. Add in last month’s vegetarian diet, and I admit that I miss eating meat. It’s not so much that I crave it–I just miss having it as an option. But my energy is back (my workouts feel good), I’m not as sleepy in the mid-day hours, and my body finally seems to be adjusting to the new diet. Whew! I’ve been playing around with some vegan products to ensure I get the protein and nutrients my body needs. In the strange-but-good category, I came across Nutritional Yeast. And if the name sounds weird to you, just wait till you actually see it. The stuff looks exactly like fish food and the smell…I can’t describe it. But it’s not exactly pleasant. However, once it’s sprinkled on food, it takes on a nutty, cheesy taste. I like it over steamed or stir-fried kale, broccoli, and cauliflower. It’s also good with beans and on salads. I’ve also heard it’s a tasty option for popcorn. Interesting. But really…what the hell is it? Nutritional Yeast or “nooch” is an inactive yeast grown on molasses. It won’t help your bread rise, but it will provide you with vitamin B12, selenium, zinc, and protein. Basically all the stuff you need if you aren’t eating animal products. Try it, (on things rather than alone), and you’ll like it–I swear. If you aren’t eating any meat or dairy, you need this stuff in your life! My Month As A Vegetarian! I made it! 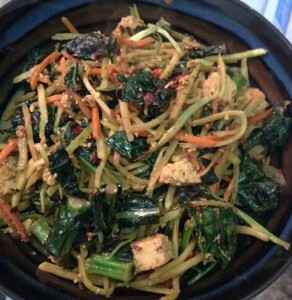 Even though May was tough on my digestive system, I did enjoy the vegetarian foods that I hadn’t been allowed to eat during my Paleo month in April. Yay for bread and cheese! Here’s the thing though: I honestly have been more forgetful than usual this month. I left my keys at home at least three times, and left my cell phone behind twice. Also, apparently I owe my loved ones an apology, as I was told by a few close friends and family members this weekend that I have been cranky. If you’re a new vegetarian and have ever had these types of symptoms, I’d love to hear from you! Difficulty: Preparing the food and finding veg options when dining out (healthy or not) was easy. Digesting all of that fiber: hard. What I Ate: All of the same veggies as I did with Paleo (kale, spaghetti squash, sweet potatoes, broccoli, etc) plus a ton of beans. I also ate a lot more mushrooms this month as a substitute for meat. My grains of choice were quinoa, brown rice, and Ezekial bread. Energy Level: The first two weeks I felt a big drop in energy. Now that it’s been 30 days, I feel my energy is restored. Body Changes: No change. I’m exactly the same as the end of last month. So eating carbs doesn’t automatically equal weight gain. Sorry Paleo. Yes, I know it’s not Kabucha squash season (duh), but this is America, dammit, where you can eat out-of-season foods with abandon! I served it over a combo of brown rice and cauliflower “rice”. If you’ve never heard of cauliflower rice, give it a try. It can add bulk to a grain dish, or replace the grains altogether. There are hundreds of blogs with methods to make cauliflower rice, but really, all you have to do is put dry florets in a food processor and pulse until you get that “grainy” look. Then, in small batches, toast up the cauliflower in a dry non-stick pan. Don’t overload the pan, or the cauliflower will just steam instead of toast. You can also do all of the prep work in the food processor , then freeze it until you are ready to toast it up. Here’s the finished product: The recipe is a little conservative in the spice department. I like things hot, so I added an extra TB of red curry paste.